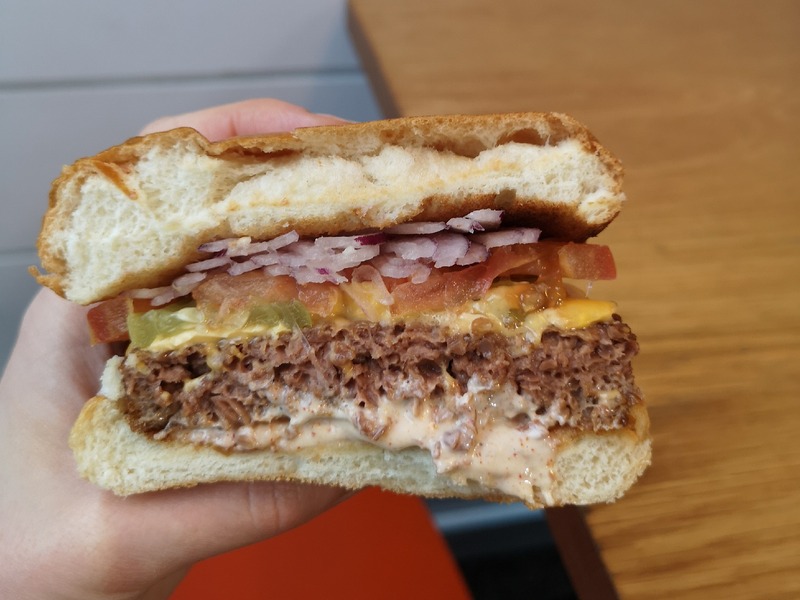 BuJo, Sandymount's sustainable burger joint, launched the Beyond Burger last week, a plant-based patty that looks and tastes like meat and even bleeds. Launched in the US in 2016, it quickly swept the country, leading to issues keeping up with demand, and retailers like Wholefoods frequently running out of stock. 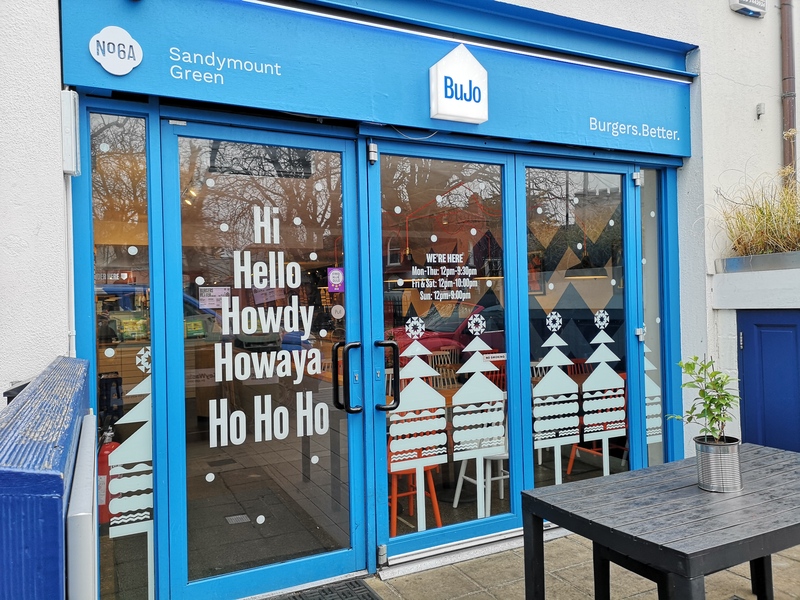 They launched in the UK in Autumn, going into burger chain Honest Burgers and All Bar One, as well as certain branches of Tesco, and BuJo is currently the only place in Ireland to get it. The Beyond Burger is predominantly made from pea protein (as well as beetroot which gives it its red colour when raw and mimics bleeding), and is soy, gluten and GMO free. It has the same amount of protein as a beef burger, more than twice as much iron, half the saturated fat and no cholesterol. Founder and CEO of Beyond Meat, Ethan Brown, says he broke down the components of beef into its separate parts, and was sure that a similar product could be made from plants. He's spent much of the last ten years isolating these elements in the plant world and figuring out how to "stitch" them together to create something that could be mistaken for meat. His investors have included Leonardo di Caprio and Bill Gates, who got involved after trying a taco made with their plant-based meat and being unable to tell whether or not it was chicken. 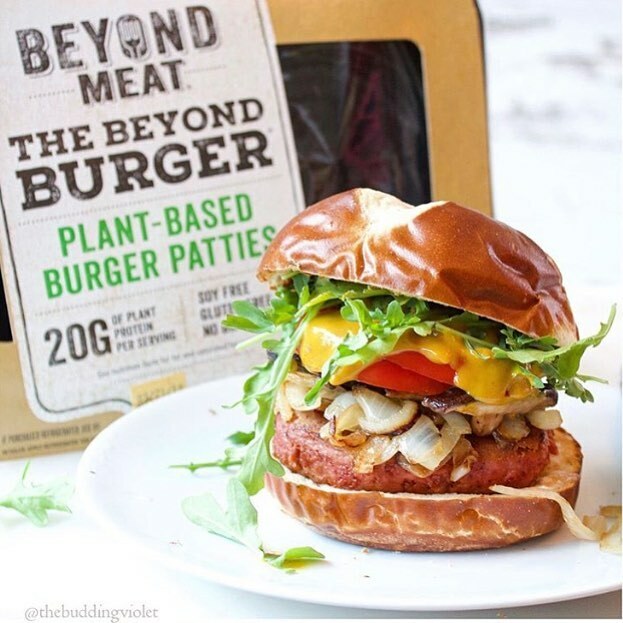 Beyond Meat say that their Burger uses 99% less water, 93% less land and 46% less electricity to make than a beef burger, and if that if each American substituted every third burger they ate for a beyond version it would be the equivalent to taking 12 million cars off the road for a year. 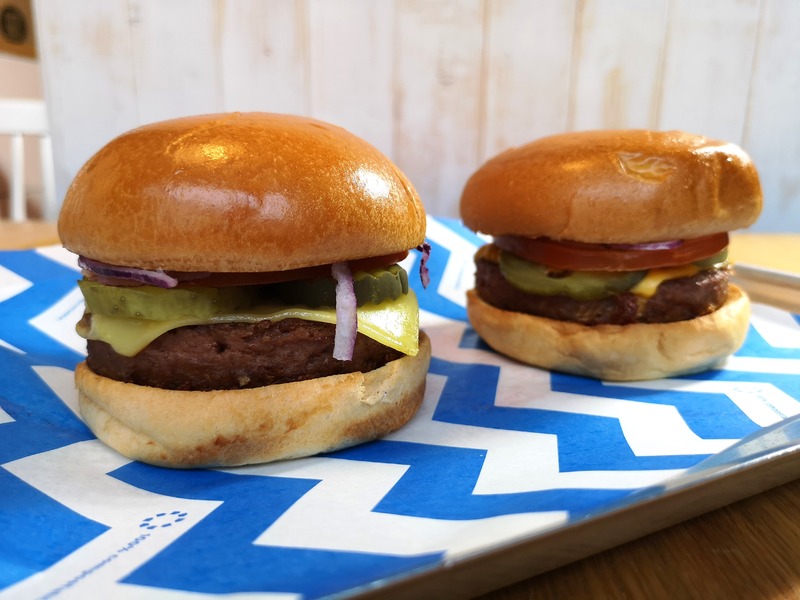 Sustainability is the driving ethos behind BuJo, and it's the only casual restaurant in the UK and Ireland with a three-star rating from the Sustainable Restaurant Association, so owner Michael Sheary wanted to be the one to bring the Beyond Burger to Ireland. They have a limited supply which is available from today in two versions, created by culinary director Gráinne O'Keeffe. The vegetarian one comes with their signature brioche bun and sauce, cheese, tomato, onion and pickles, while the fully vegan version comes with a vegan bun, violife cheese, roasted garlic aioli, tomato, onion and pickles. Sides of fries and panko pickles are vegan friendly too. We were lucky enough to get a sneak peek and were ultra impressed at the meat-like texture and taste - if we didn't know it was plant-based we definitely would not have guessed. Is it as good as the regular BuJo burger? For us, not quite. That one's pretty special and we don't think a plant-based source is going top it. Is it a game-changer for vegetarians or vegans who miss meat? Most definitely. 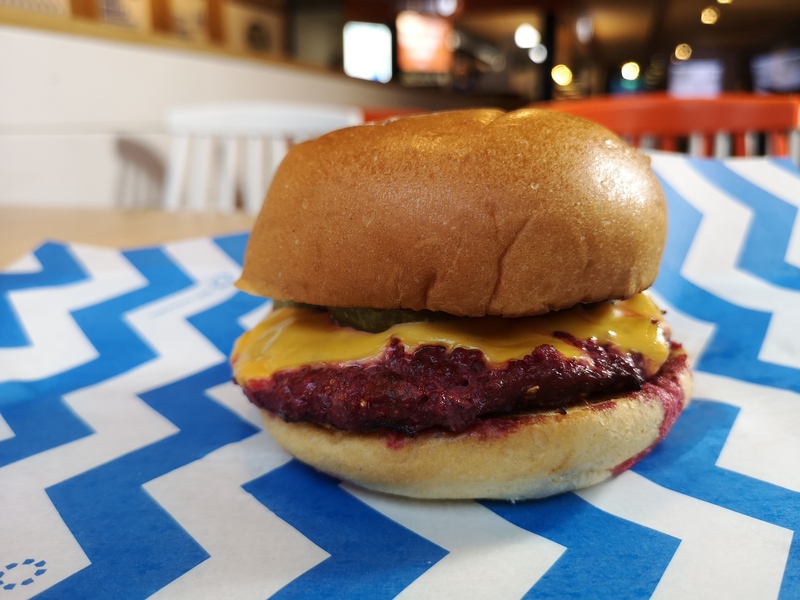 For those looking to cut down on their meat intake, BuJo have also introduced a 'Beeftroot' burger, with 70% beef, 15% beetroot and 15% crunchy quinoa, designed to be a lighter alternative to the regular burger - we tried that too and it is very, very good. For extra health points you can go bun free and get it on top of a kale bowl. The Beyond Burger is available in BuJo now and initial supplies are limited, so if you want to try it soon, we'd advise not hanging around.